You’re one of the lucky ones if you have the good fortune of spending any part of the winter in Tucson, Arizona. With plenty of sunshine and daytime temperatures between 55 and 75 degrees, you’ll quickly discover why families travel from all over the country to experience the peaceful serenity of Christmas in the desert. Here are some suggestions for family-friendly holiday and Christmas events in Tucson. Updated for 2018! Stroll through Tohono Chul Park during the annual Holiday Nights event. Be dazzled by nearly a million twinkling lights, sip hot mocha, enjoy tasty holiday treats. You’ll also be joyfully entertained by music and dance performances throughout the evening. For a wild good time, get your tickets for Zoo Lights at Reid Park Zoo. This event offers jingle bells, falling snow, Santa Claus, animal-theme light sculptures, hot cocoa, and free cookies in addition to thousands of sparkling bulbs. 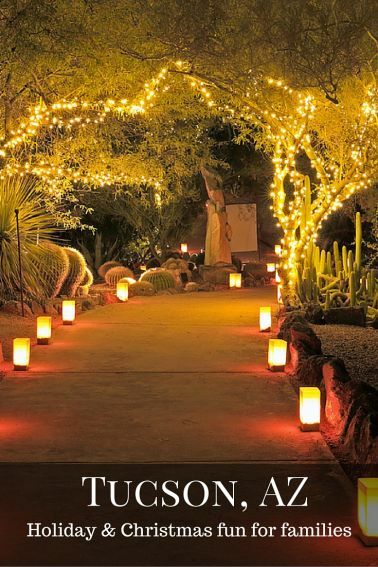 Similarly, the Tucson Botanical Gardens also hosts Luminaria Nights. Luminarias, twinkling lights, and decorated trees adorn the property. You can also expect a visit from Mr. Claus, along with festive live music throughout the evening. Looking for a festive neighborhood? 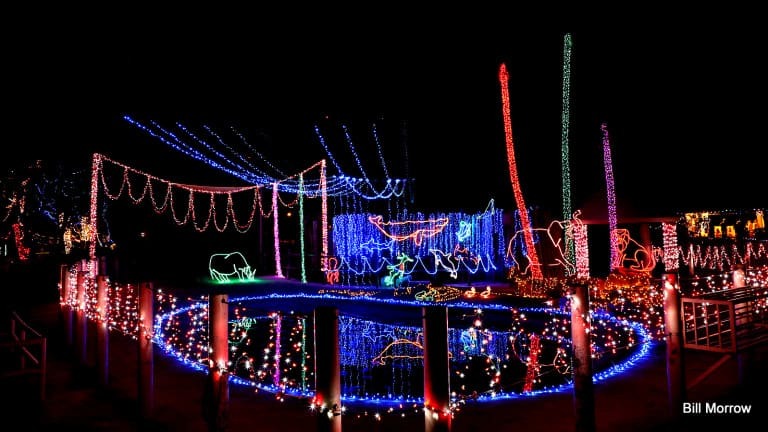 The Winterhaven Festival of Lights is one of the longest-running Christmas events in Tucson. This neighborhood of lights is free to visit, but they ask that families bring some food or money to donate to the local food bank. Bask in the glow of lighted floats, performers, and holiday music during the annual Downtown Parade of Lights. This one-night event usually takes place mid-December but be sure to check their website for exact dates and times. Enjoy good food and comedic performances at Tucson’s dinner theater. The theater offers complimentary popcorn with the ticket price. After you’re seated, you can choose to purchase dinner or dessert from a provided menu. 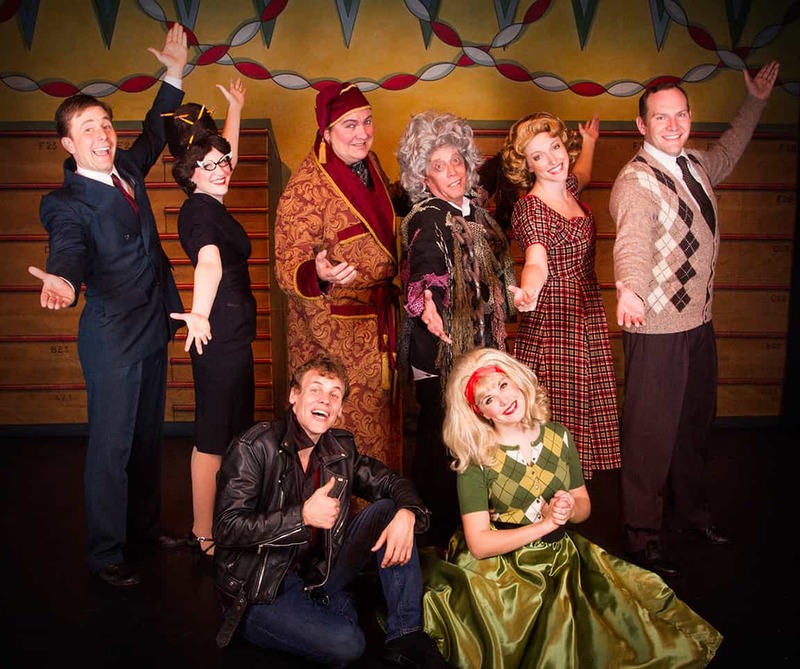 Gaslight Theatre’s holiday shows often sell out. Be sure to get your tickets fast for their latest holiday comedy. Experience the Magic of Christmas at the Tucson Symphony Orchestra annual holiday concert. Families love to sing along with their holiday favorites and visit with Santa. In contrast, a more classical experience can be found at the Christmas at San Xavier Annual Concert. Here you’ll enjoy Bach, Schubert & Fauré, along with some holiday favorites. Check for deals on family-friendly hotels in Tucson. 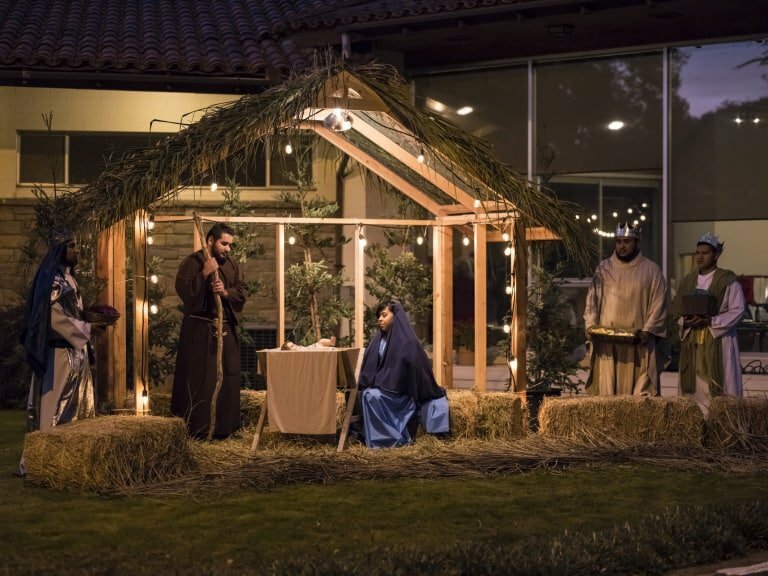 Discover the true meaning of Christmas at a live nativity. Christ Church United Methodist invites you to A Night in Bethlehem. Stroll through the marketplace of Bethlehem where you’ll learn how to weave, make candles, and even create your own perfume. Then end your stroll by visiting the manger, with baby Jesus, Mary, Joseph, and live animals. Sunrise Chapel and Redeemer Lutheran also host live nativities. For many families, December wouldn’t feel like December without tickets to the famous ballet about Clara and her Nutcracker. Traditionalists will appreciate the professional elegance of Ballet Rincon’s production as it presents its annual Tchaikovsky’s The Nutcracker Ballet. The Moscow Ballet presents the Great Russian Nutcracker at the UA Centennial Hall. New and exclusive additions different from this timeless classic include life-sized Matrushka Dolls and the Dove of Peace, 2 dancers creating one character with wings that span 20 feet. For a regional version, check out Tucson Regional Ballet. Instead of the original setting, A Southwest Nutcracker which brings the traditional story to Tucson in the 1800’s. Look for the best hotel prices in Tucson. 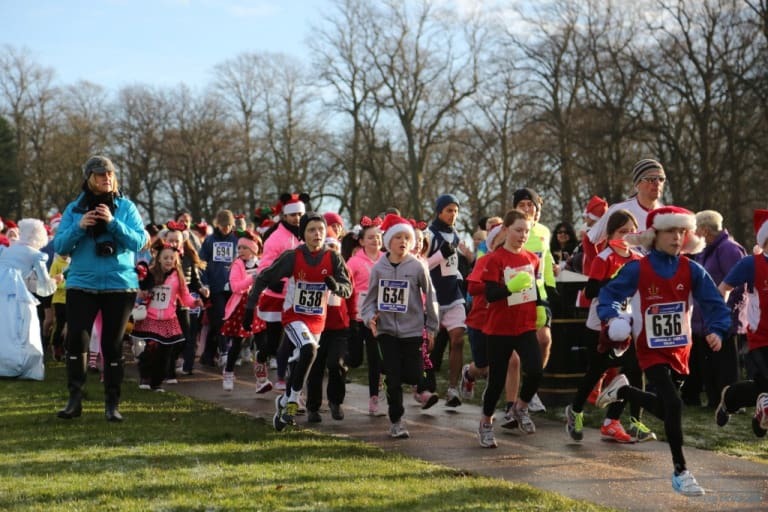 Sign up for the Vail Jingle Trail 5K and Santa’s Little Helper 1K . Once there, you’ll be greeted with jingle bells for your shoelaces at the registration tables. Afterward, enjoy complimentary refreshments. 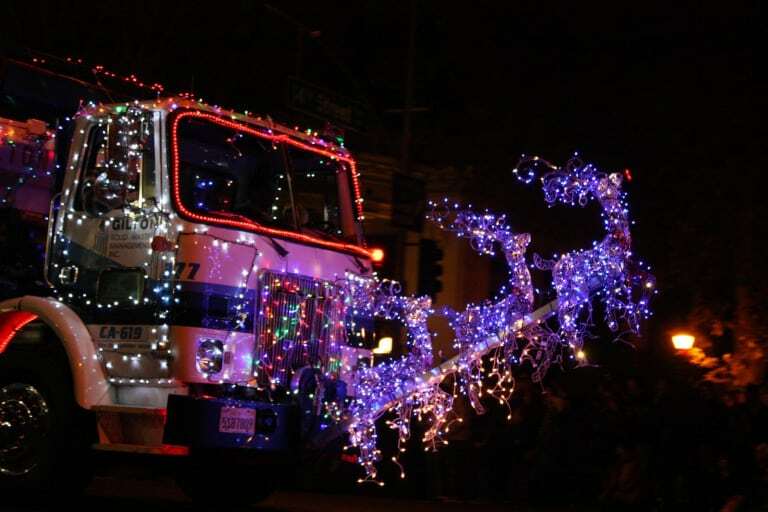 Visit TucsonTopia for more Holiday and Christmas events in Tucson. Special thanks to Stephanie Sheaffer who wrote the original version of this post.